In 2016, a special exhibition featuring Juan Espino’s collection of toy soldiers was shown at Peggy Bancroft Hall. 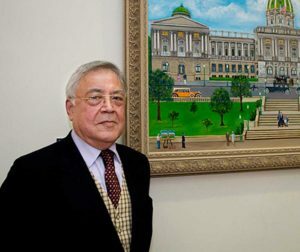 Mr. Espino is a well-known painter of Pennsylvania scenes who is also a collector and maker of historical miniature figures. 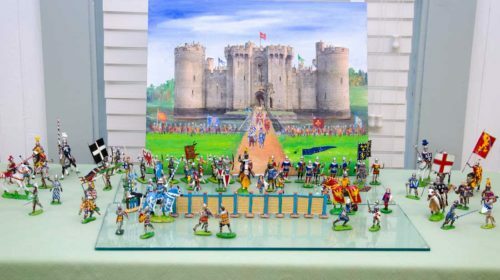 His toy soldiers represent various historical periods and includes many unique figures that he cast and painted. 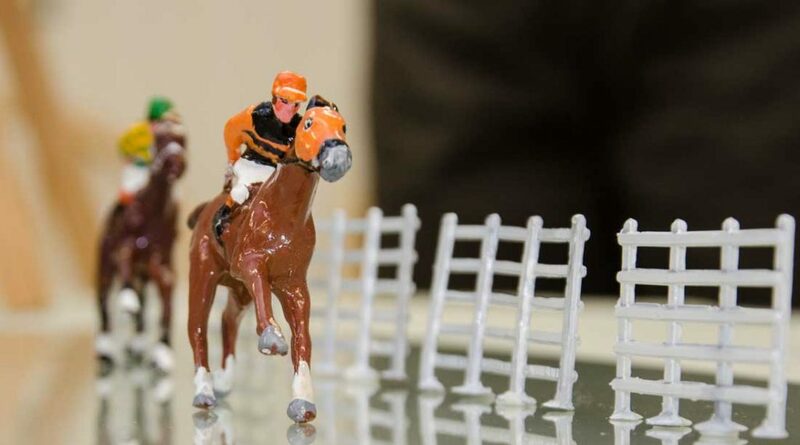 Juan Espino began collecting toy soldiers as a child growing up in Mexico in the 1940s. “My childhood in Michoacán was full of adventure, excitement, and joy.” He used his toy soldiers to reenact major battles in Mexico’s War of Independence—battles he learned about from his father, who had fought with General Francisco Villa in the Mexican Revolution. He attended high school at the National Preparatory School in Mexico City where he discovered a new interest, painting. 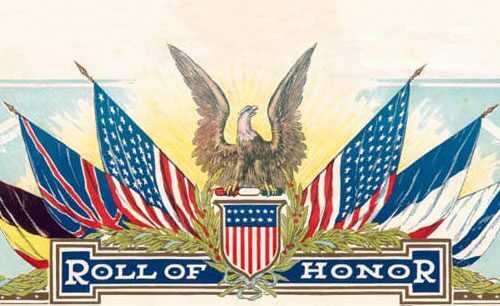 At the age of 18, Juan Espino was drafted into the National Military Service where he earned the rank of Lieutenant. While preparing a strategic demonstration for his unit, he asked his parents to send his collection of miniature soldiers. To his disappointment, they had been given away. As time passed, his collection was forgotten and his interest in painting was put aside. After completing military service, Juan attended The Universidad Nacional Autonoma de Mexico where he graduated with a degree in law. In 1966, he met his future wife, Millie. On her second visit to Mexico Millie presented Juan with a special gift, a metal toy soldier, a 1914 Prussian Hussar she had purchased in FAO Schwarz in New York. It became the centerpiece of his new collection. 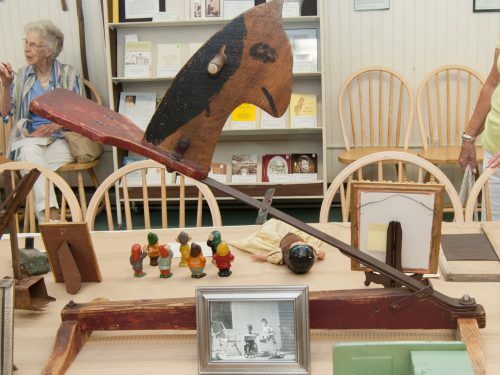 Today Juan’s collection includes pieces dating from the early 1800s to the 1960s and representing various historical periods. 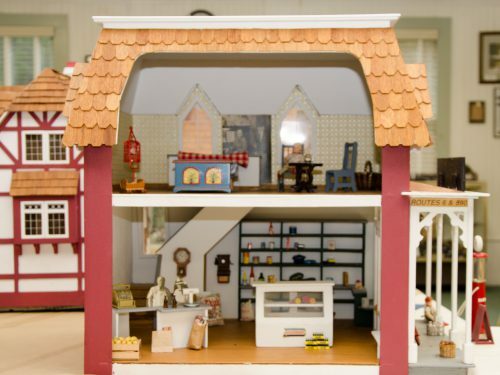 Some were made by early toy manufacturers, including Berliner Zinnfiguren, Britains, Johillco, Timpo and Crescent. His collection includes special pieces that Juan designed, cast and painted. After 20 years, Juan left his career in law and pursued his dream as an artist. He and Millie moved to Hawley in 1988 where they opened The Looking Glass Art Gallery and Studio, located in the Hawley Silk Mill. His brightly-colored paintings are in the style of folk art and often depict local street scenes and historical periods and architecture. An active civic leader, Juan has been involved with numerous community organizations, notably the Wayne County Historical Society.